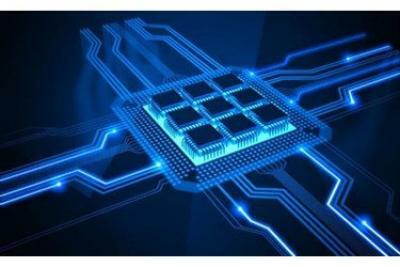 Researchers from the University of Texas at San Antonio (UTSA) have developed a graphene-based "zero-power" interconnect that can present the loss of spin in Spintronics devices. In the new architecture, the graphene nanomaterials are used as both the spin transport channel and the tunnel barrier. 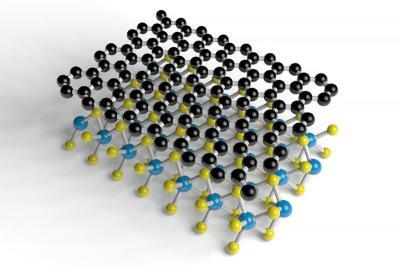 The researchers use reduced graphene oxide in a single-layer configuration. The researchers discovered that by controlling the amount of oxide on the graphene layers, the tune electrons’ conductivity can be fine-tuned. Researchers from Europe developed heterostructures built from graphene and topological insulators and have shown the strong tunability and suppression of the spin signal and spin lifetime in these structures. Associate Professor Saroj Prasad Dash from Chalmers University of Technology explains that the advantage of using heterostructures built from two Dirac materials is tha graphene in proximity with topological insulators still supports spin transport, and concurrently acquires a strong spin–orbit coupling. The lecture also includes opto-spintronics, 2D Magnets, and more. Researchers from Russia, Germany and Spain managed to modify graphene to make the material both magnetic and with spin-orbit interaction, for the first time. This could make graphene suitable for quantum computers. To achieve these new properties, the researchers combined graphene with gold and cobalt. The spin-orbit interaction, unlike in gold, is extremely small in graphene. The interaction between graphene and gold increases the spin-orbit interaction in graphene, while interaction between graphene and cobalt induced magnetism. Reserachers from Spain's nanoGUNE Cooperative Research Center (CIC) developed a method to connect magnetic porphyrin molecules to graphene nanoribbons. These connections may be an example of how graphene could enable the potential of molecular electronics. Magnetic Porphyrin, a molecule that is responsible for making photosynthesis possible in plants and transporting oxygen in the blood, is an interesting spintronics material. The researchers now report that even after injecting electronic currents into the Porphyrin via the graphene wires, the molecule maintains its magnetic property. 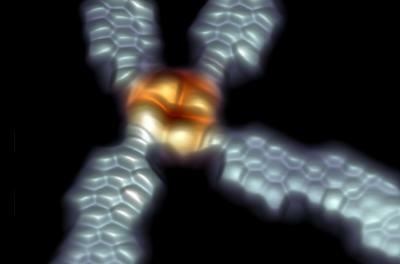 Small variations in the way the graphene nanoribbons are attached to a molecule can alter its magnetic properties - and the molecule's spin can be manipulated via the injected currents. Zeila Zanolli,a principal investigator at RWTH Aachen University and the European Theoretical Spectroscopy Facility (ETSF) gave a lecture at the MaX Conference on the Materials Design Ecosystem at the Exascale last month, titled "Spintronics at the interface". Zeila specifically discusses the interface between Graphene and BaMnO3 materials. 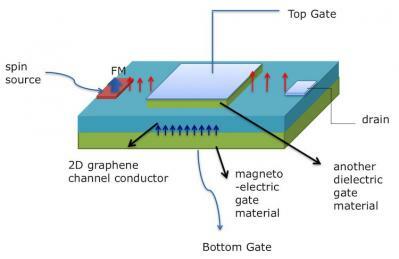 Researchers from the University of Nebraska-Lincoln designed a spintronics transistor that is based on graphene. The researchers say that such a device could be highly efficient, run at room temperature (and above) and feature a nonvolatile on-off current ratio and electrically controllable spin polarization. The device is based on the discovery that an external voltage can be used to control the magnetic properties of few-layer graphene interfaced with chromium oxide. This is a theoretical research at this stage but the new device structure is expected to feature a large electrically controllable spin current. Researchers from Spain's ICN2 institute have performed numerical simulations for spin relaxation in graphene/TMDC heterostructures, and found that these structure feature a spin lifetime anisotropy that is orders of magnitude larger than anything observed in 2D materials - and in fact these results point to a qualitatively new regime of spin relaxation. Spin relaxation lifetime means that time it takes for the spin of electrons in a spin current to lose their spin (return to the natural random disordered state). A long lifetime is very important for spintronics devices. This new study reveals that the rate at which spins relax in graphene/TMDC systems depends strongly on whether they are pointing in or out of the graphene plane, with out-of-plane spins lasting tens or hundreds of times longer than in-plane spins. Researchers from the University of York and Roma Tre University developed a method to build ultra-low-power transistors using composite materials based on single layers of graphene and transition metal dichalcogenides (TMDC). 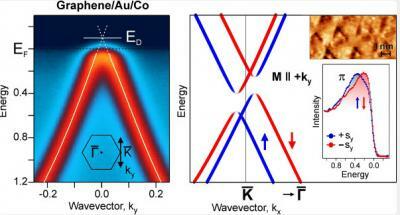 These materials can be used to achieve an electrical control over electron spin. The teams explained “we found this can be achieved with little effort when 2D graphene is paired with certain semiconducting layered materials. Our calculations show that the application of small voltages across the graphene layer induces a net polarization of conduction spins".